Complete puzzles with the baby Angry Birds in this free-to-play mobile game. Angry Birds Dream Blast is the latest mobile game in the popular Angry Birds franchise, which began with the original Angry Birds way back in 2009. Angry Birds Dream Blast is a level-based puzzle game that challenges players to complete a specific objective in each stage before running out of moves. In each level of Angry Birds Dream Blast, players can tap on two or more touching dream bubbles of the same color to remove them from the board. One level might ask players to clear the required number of bubbles of a specific color, while another may ask players to clear a dark cloud from the screen by making matches on top of the cloudy area, and so on. Levels become more challenging as players progress, and users have access to a variety of power-ups that can help them finish tricky stages. 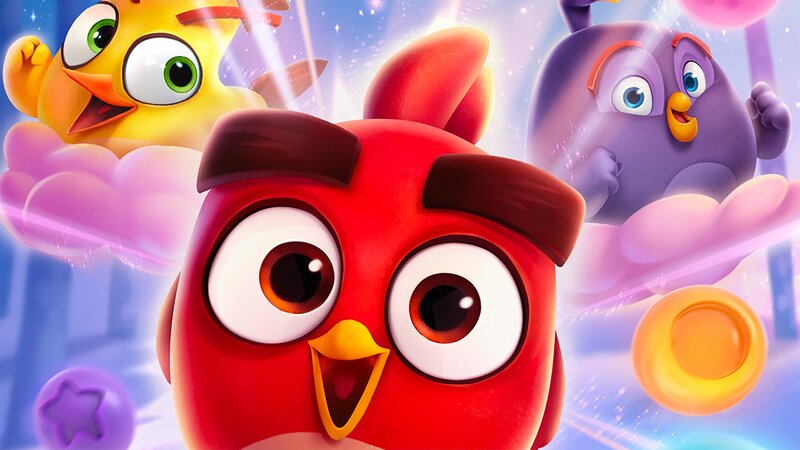 The game stars many familiar faces from the Angry Birds universe. For instance, when players clear a group of four or more bubbles in a single move, they spawn Red on the board, who functions as a special power-up that clears surrounding bubbles when activated. If players spawn two Reds next to each other, they combine to form the yellow bird, Chuck, who is an even stronger power-up. Pigs, meanwhile, are some of the obstacles users will need to overcome while playing. While Angry Birds Dream Blast is free-to-play, users can spend real money on coins, which they can use to purchase extra power-ups, as well as to continue playing a stage if they run out of moves. The game also contains advertisements. Angry Birds Dream Blast is available to download for free on iOS and Android devices. The game is rated E for Everyone. Check out the first six minutes of Angry Birds Dream Blast in our SuperParent First Look below to see if this is a game your family would enjoy.